The infinity pool at La Casa Que Canta. As far as beach resort towns in Mexico go, Zihuatanejo, which is located northwest of Acapulco and which is now being promoted as a Sun Triangle destination (along with Acapulco and Taxco), is one of the country’s most enchanting. 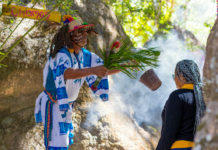 By embracing its sleepy fishing village roots and welcoming boutique hotels rather than large international chain hotels to its shores, this Pacific Coast destination has been able to lure North Americans—especially couples—who seek the tranquil side of Mexico and who scoff at all-inclusive vacations (no offense, Ixtapa). Zihuatanejo is the perfect fit for well-heeled clients who want a more sublime Mexican vacation, and don’t mind a room with one of the country’s most spectacular views. And one of the best places to take in the resort town’s authentic ambiance, not to mention those stunning views of the Bay of Zihuatanejo, is from the La Casa Que Canta hotel, which “sang” its way into our hearts this past summer when we visited (its name translates to “the house that sings” so we had to go there). Walking through this sprawling boutique Small Luxury Hotels of the World property—which sounds like an oxymoron for a property that only has 25 rooms—its name makes sense. All of the suites are named after Mexican songs, and guests are greeted to the song of the ocean, since the hotel opens out onto the bay. Set up in the hills, thus those incredible views and hideaway feel, La Casa Que Canta features a multi-tiered design concept, made with natural elements like adobe, palapas and woods, leading down to cliffs overlooking the bay. According to Tere Arellano, the hotel manager, guests like the details in the architecture and design, as well as the privacy and views. 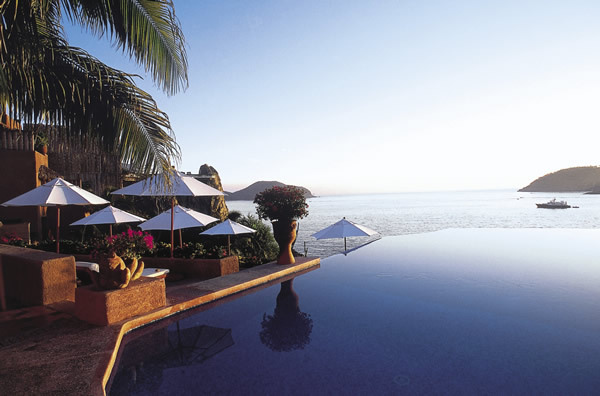 And those views can be best experienced from private plunge pools in 11 of the hotel’s suites. We spent our days relaxing in a master suite called Besame Mucho, which in addition to a plunge pool, features an oceanview verandah with two comfortable lounge chairs and a living room, which is separated by an air-conditioned bedroom with a balcony (also offering these sweeping views). At night, the lights shine on the bay with only the sound of the water playing as background music, while during the day, guests can see fishermen returning with the morning’s catch and boats making their way out on the water. The verandah also features a table and chair, perfect for ordering room service and dining al fresco (we couldn’t get enough of the lime ricotta pancakes and chilaquiles, by the way). While the in-room WiFi isn’t the most reliable—detox vacation, anyone?—the rest of the amenities provide guests with anything they might need in their sanctuary. Your clients will notice small touches of luxury, such as the twice-daily housekeeping service and a beautiful bed-topped design made out of flowers, complimentary refreshments in the mini-fridge (refilled daily) and a welcome shot of tequila, complete with salt and lime. Your eco-conscious clients will appreciate that the property creates its own amenities with soap made from lime or oatmeal and honey, reducing the amount of waste from plastic wrapping. Ok, your clients will have to practically be dragged out of their private plunge pools and 1,100-sq.-ft. suites, but what awaits outside is yet another bevy of pampered experiences at the only certified CLARINS spa in Mexico, and while lounging by the bayview infinity pool where there are lots of freeflowing cocktails served up by the friendly staff. In fact, the entire hotel staff is incredibly welcoming, ready to assist guests with anything from directions around the hotel to providing cold water at the infinity pool next to Restaurant Terraza. 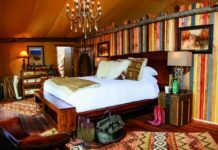 Recommend the Serenity Together package, which starts at $775 per night for a master suite, with a 4-night minimum stay. The package includes daily breakfast and dinner, one romantic dinner with wine, and a 1-hour photography session. 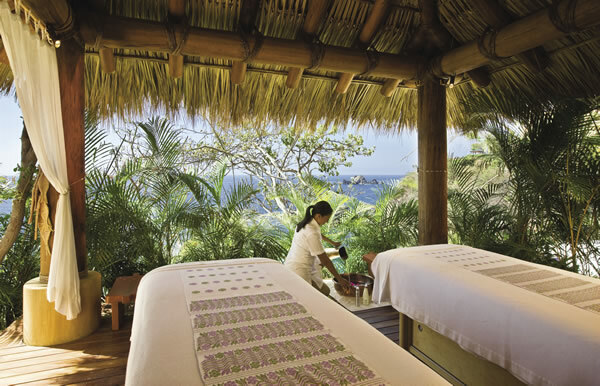 The spa at Capella Ixtapa. While La Casa Que Canta does not allow children under 16 to stay onsite, families can rent one of its two villas located just outside the hotel. Each villa has its own staff with a butler and private chef, and guests over 16 have access to the hotel’s amenities, such as the spa, gym, restaurants, swimming pools (in addition to the infinity pool there is a small saltwater pool) and yoga classes. El Ensueño features four suites, each with its own pool, overlooking La Ropa Beach. According to Arellano, this villa is more popular with families. Each suite has a different design, and opens out to a main common area with a pool and access to a beach club below. The villa also features a small bedroom that can be used for a nanny who may be traveling with the family. Across from El Ensueño is El Murmullo, which features an outdoor living and dining area, a pool with a swim-up bar, and an elevator that comes in handy due to all of the stairs in the villa. El Murmullo also features four suites with private pools, and with rooms overlooking the bay which provide a variety of vantage points that are all picture-perfect. 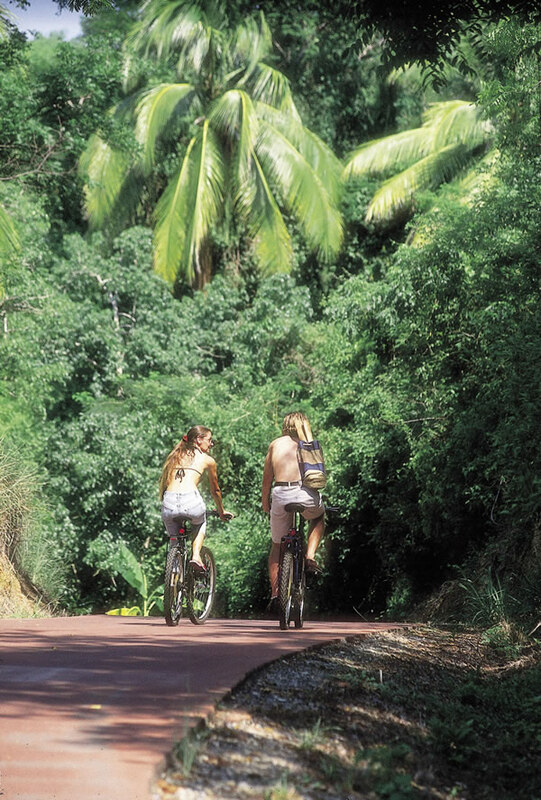 The area is ideal for outdoor activities such as biking. Travelers can fly nonstop on United Airlines from Houston to Ixtapa-Zihuatanejo (ZIH) or nonstop from Los Angeles on Alaska Airlines.